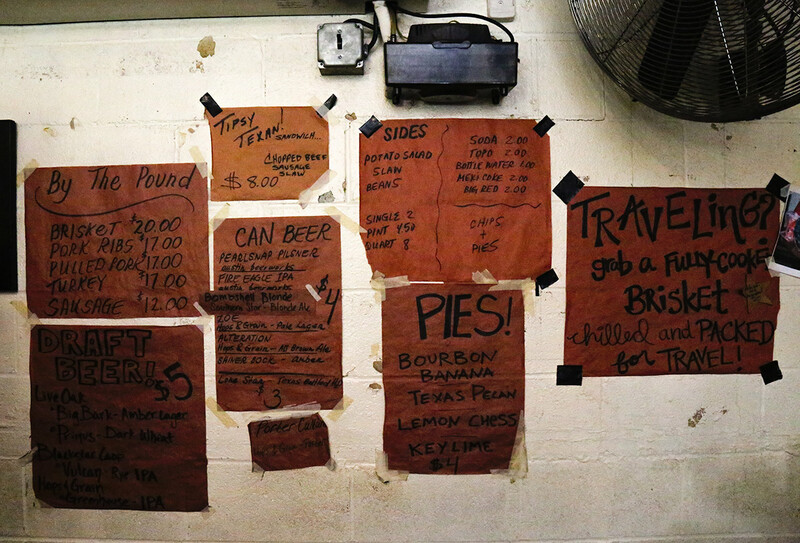 The legend that is Franklin Barbecue stretches far beyond its home-city of Austin, Texas. 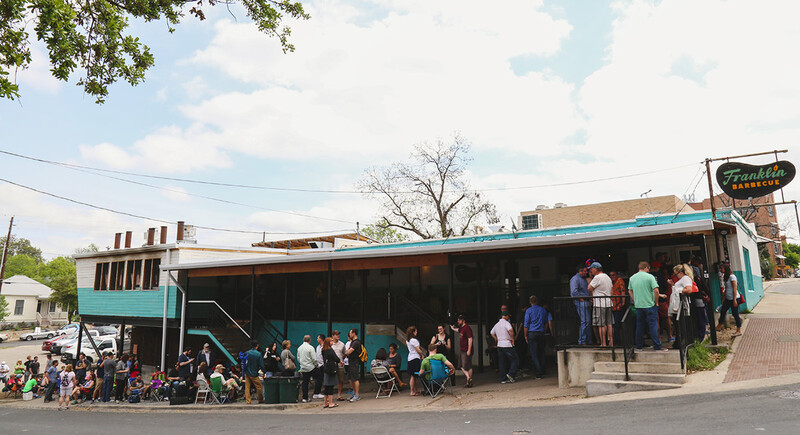 What began life back in 2009 as a simple food truck just off the interstate has now become an undisputed Austin institution, a rite of passage for meat-loving tourists, and a veritable goldmine for owners Aaron and Stacy Franklin – so far the brand has generated a bestselling BBQ cookbook, a popular web series, an always-rammed trailer at SXSW, a line of BBQ sauces, and a PBS TV show, as well as multiple prestigious awards. It’s saying something that this no-frills, unassuming restaurant, seating perhaps 100 diners at most along shared wooden benches, has exploded onto the national consciousness in recent years because, if Texas is known for one thing, apart from, you know, all the other things it’s known for, it’s good barbecue. This is, after all, where American barbecue was (arguably) invented, and certainly where the art was perfected, by German and Czech settlers bringing with them across the Atlantic their smokers and crafty sausage-making techniques. A tradition of church and political socials taking place over barbecue developed, complimented by a booming Texan cattle industry and the emancipation of slaves, many of whom looked to barbecue pits as a source of income as freemen. What was once an inexpensive and efficient way of preparing food for migrating cotton pickers has now been refined to the point that there are over 100 BBQ cook-offs in Texas every year, with West, East and Central Texas all having their own particular styles. 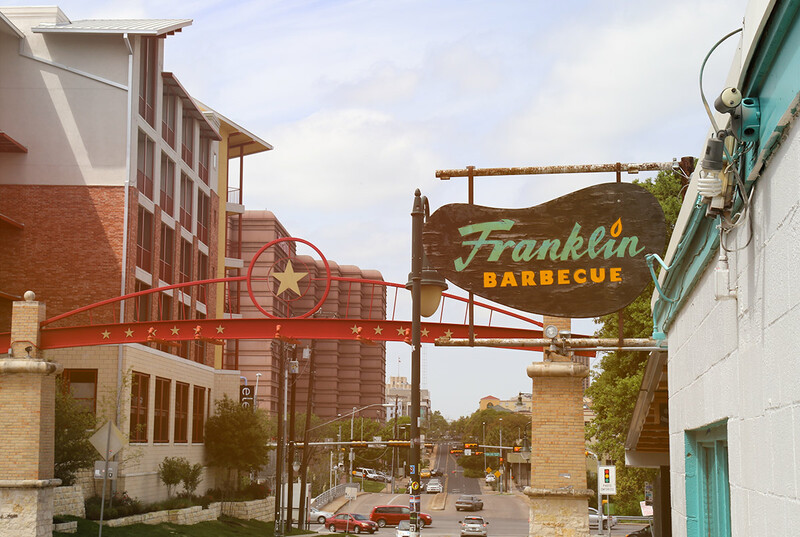 There are two reasons why Franklin is regarded as THE place to eat barbecue in Austin. The first is the undeniable quality of the food on offer – a typical lunch menu here might be composed of luscious strips of brisket that has been smoked over oak for 12-18 hours until it melts in the mouth, or heaped plates of turkey, sausage and ribs that have had similar attention lavished upon them, accompanied by generous sides of potato salad and slaw, with a dangerously-tempting range of mouthwatering dessert pies from bourbon banana to key lime if your stomach is up to the challenge. Secondly, and quite likely the principal cause of Franklin’s notoriety, is the length of time customers must wait before they get served. 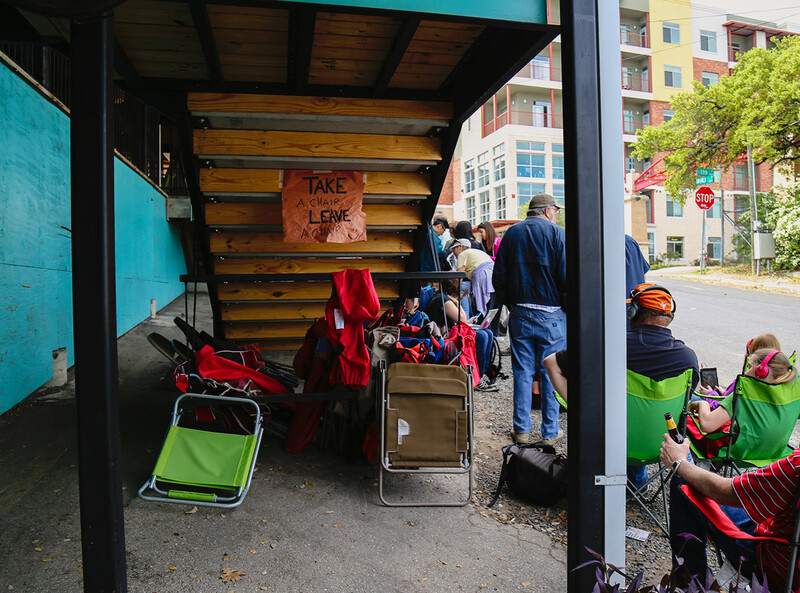 It’s not unknown for people to queue for anywhere up to six hours for their food – come rain or shine, you take your turn in the line outside that stretches down the block and around the corner. Some even take their place before dawn during busy weeks in order to be first in the door when it opens at 11am. I actually heard of one person who queued for almost ten hours and still considered it worth the wait. 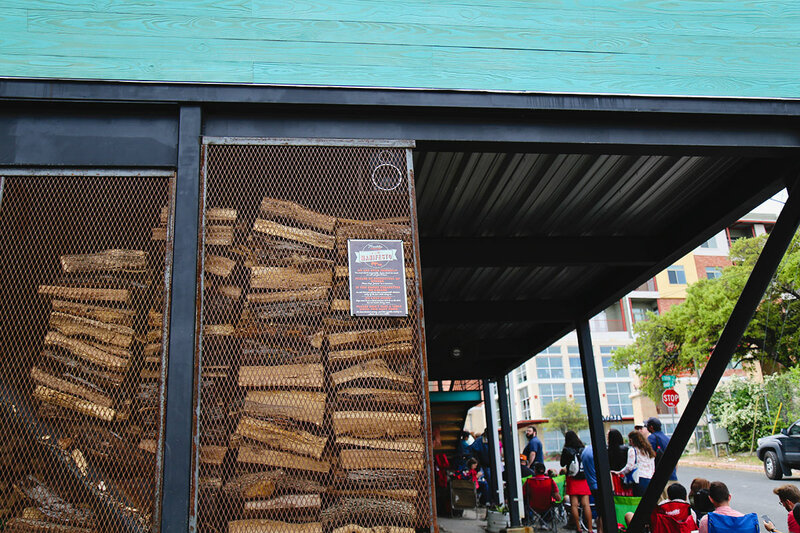 To accommodate this staggering level of demand, the restaurant gets through upwards of 20,000lbs of brisket alone, every month, with the smokers starting up in the scarily-early hours of the morning. Some prefer to skip the queue. You can order ahead to walk right in the door and pick up your food, but you need to book several weeks in advance. 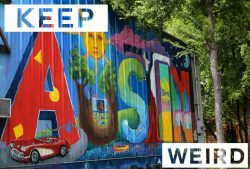 There are many other good BBQ joints in Austin, so many locals have somewhat lost interest in the Franklin phenomenon by now, but those that still can’t resist a fix will sometimes pay an industrious soul to hold their place in the line for them. We stopped by Franklin for lunch on a Tuesday morning back in March 2015, assuming the line would be fairly light. Taking our places just after 10am, we eventually sat down to eat about four hours later, sanity and appetite completely intact. Some say the restaurant has peaked, and something of a backlash can be detected among locals and visitors alike, who feel the food isn’t worth the wait. In our case, as first-time customers, we would say that on the contrary, the wait was actually an integral part of the experience, heightened by flurries of excitement like a Mexican wave as you moved forward a few feet every twenty minutes, and the ecstasy of finally arriving at the stairs where tantalising aromas wafted down every time the door opened to let someone inside, like the pearly gates swinging apart to admit another happy soul. Even on what was a pretty hot morning, it was never especially uncomfortable. 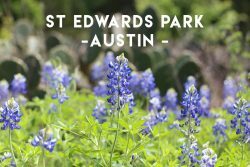 Complimentary folding chairs are provided, and staff members regularly walk the line to serve refreshing cold beers and encourage anyone thinking of calling it a day to stay the course. And the time does pass remarkably quickly, especially once you get talking to the folks ahead of and behind you. 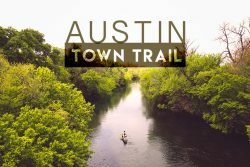 Within a few minutes of arrival we’d met a couple of English guys in Austin on a break from a work assignment in Houston, and a friendly bunch of Texans all visiting from out of town and choosing to hold their get-together in the line for Franklin, with a cooler of beer and a pack of cards. People were working on their laptops, playing board games, or just getting steadily more tipsy as the morning wore on. By the time we joined the queue a lot of the meat options were already sold out (staff take your order while you’re waiting), but luckily there was still heaps of brisket available, the Franklin speciality. Smoked at 225-250 degrees over dry post oak that has itself been cured for up to a year for maximum potency, the beef is tender, moist and positively dripping with flavour. The tender strips of brisket are served on their own, the quality of the meat and the cooking speak for themselves, but you have the option to drizzle it with Aaron’s signature sauce if you prefer. Most don’t, preferring to savour the taste of the meat instead. Here in Texas adding sauce is often seen as poor form. We added a string of delicious, juicy sausages and some slaw on the side and half an hour later pretty much rolled out the door, the stains of meat juice on our t-shirts akin to battlefield trophies. 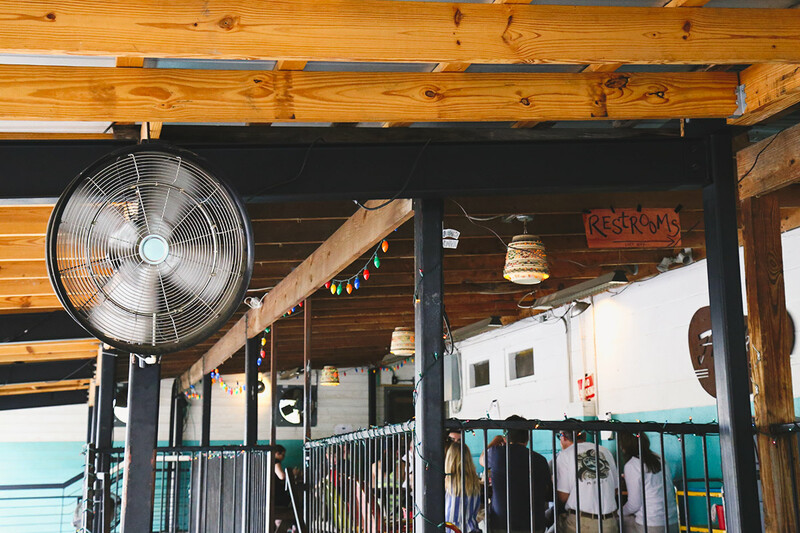 While it has deservedly achieved cult status, Franklin is by no means the only place in Austin you can get great barbecue, Stiles Switch being another notable example where you’ll wait for considerably less time to get served. 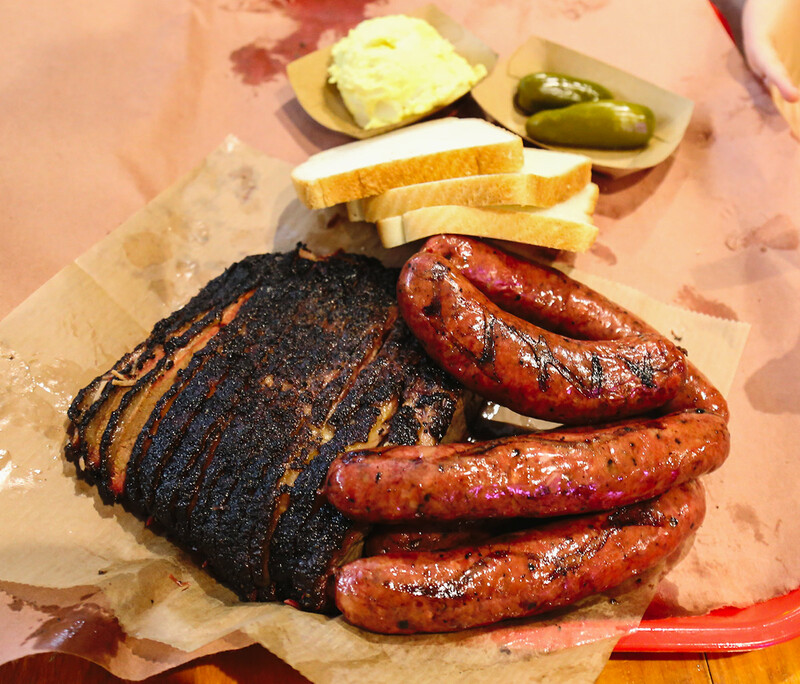 If you like your meat barbecued to perfection you can also find happiness at Prause Meat Market in La Grange, Smitty’s in Lockhart, and Killens in Pearland, to name but a few. 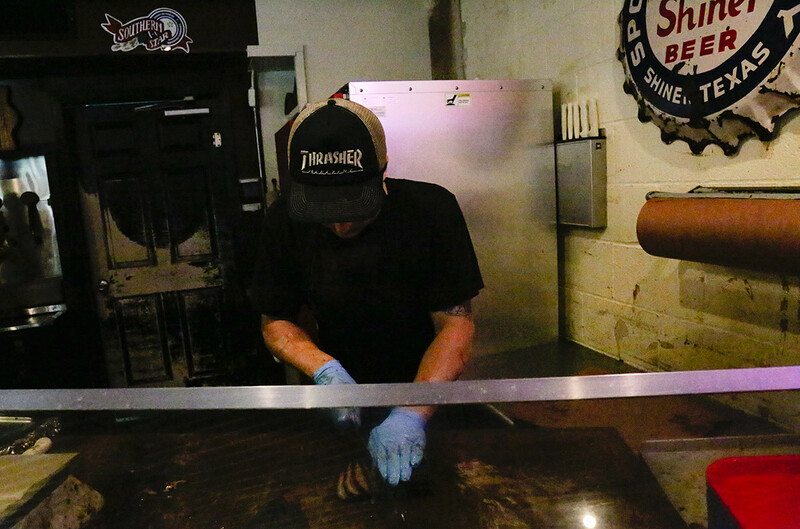 And it’s not confined to Texas – we’ve eaten fingerlickin’ good pulled pork at Central in Memphis, Tennessee, and a memorable plate of sticky ribs at Porker’s in Chattanooga, where they let you bring your own beer. Other hotbeds of good BBQ in the States include Georgia, Mississippi and Montana, and also Kentucky where in some areas they specialise in lamb, something you don’t often find elsewhere. 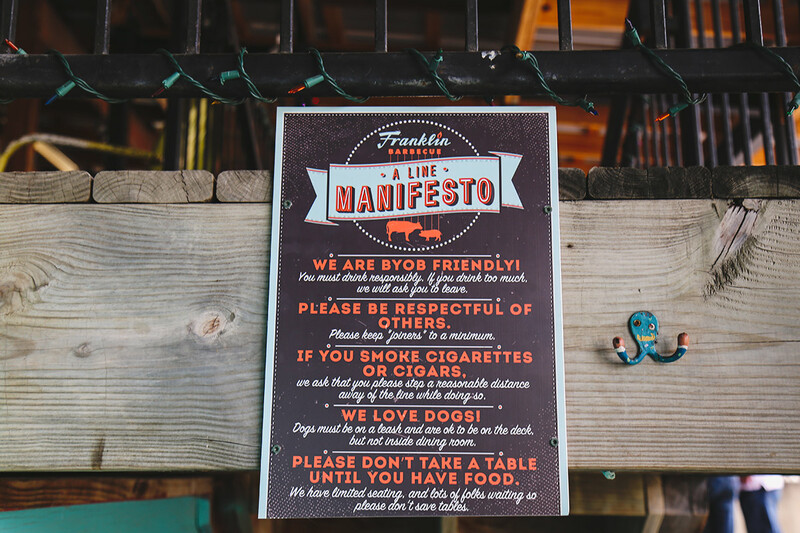 But if you’re Austin-way, be sure and clear a morning for Franklin Barbecue. 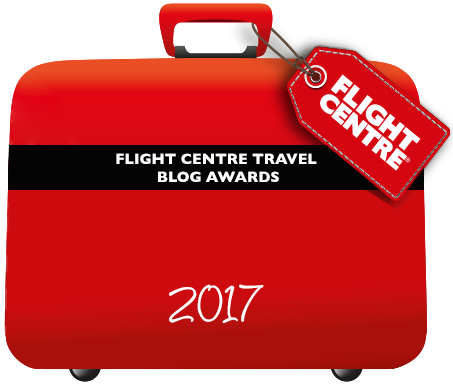 Pack a folding chair, a few beers and a good book, and bring an appetite. 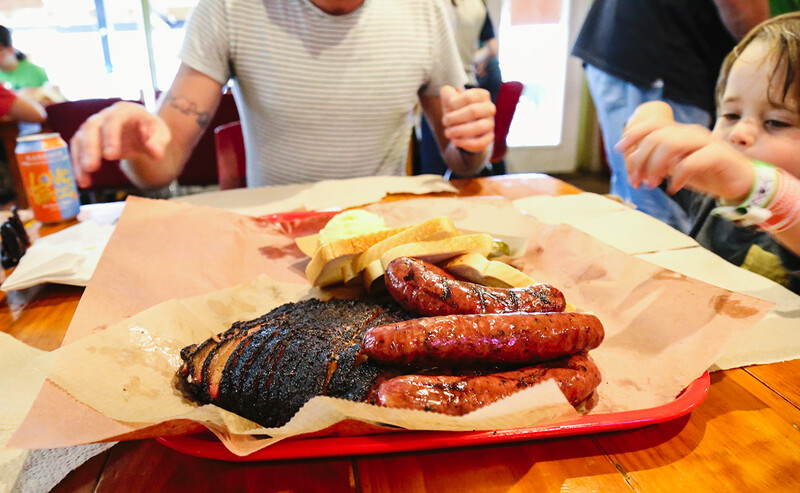 It’s worth its wait in brisket. Follow Maria Belfort ♢ One Tiny Leap’s board TRAVEL • USA ROADTRIP on Pinterest.